My friend Rhonda Laurie is a swinging jazz singer (Sidewalk Café and more), music business instructor and underground promoter. 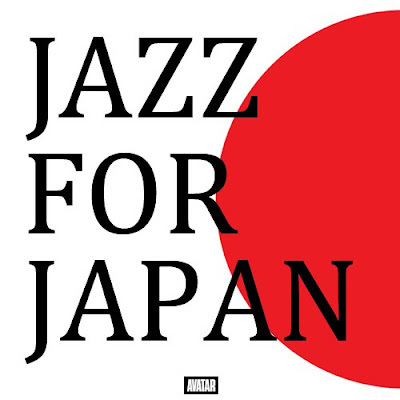 Right now she’s trying to put together a fundraising event to support recovery in Japan, and particularly to help the Japanese jazz community get back on its feet in the wake of the earthquake and tsunami disasters. She’s got a lead on at least one venue and hopes to round up a strong list of jazz artists to perform at a fundraiser early in the summer. Rhonda makes a strong point about the connection between Japanese and American jazz. She quotes from the New York Times’ interview with Blue Note producer Michael Cuscana, who noted that in the late 70s when American jazz was in a deep slump, “Japan almost single handedly kep the jazz record business going….” Further she notes that the new Diskunion JazzTokyo “boasts some 100,000 new and used jazz CDs and LPs and is one of the world’s largest jazz record shops, attracking music enthusiasts from around the world since its opening in November last year.” And several local musicians have told me at one time or another that they sell more CDs in Japan than in the U.S. If you are a jazz artist interested in learning how you can help support this effort and keep jazz alive and well in Japan, contact Rhonda to learn more about the fundraiser. And if you or your business want a good cause to support at a critical time, consider helping to sponsor this event (e.g., venue rental, promotion). Contact Rhonda at rlsmith@msbcollege.edu.